A man who is jack of all trades and masters in some.. He is a stand up comedian, teacher (god bless kids) and great host. He is your go to guy when anyone wants to laugh or hang out. 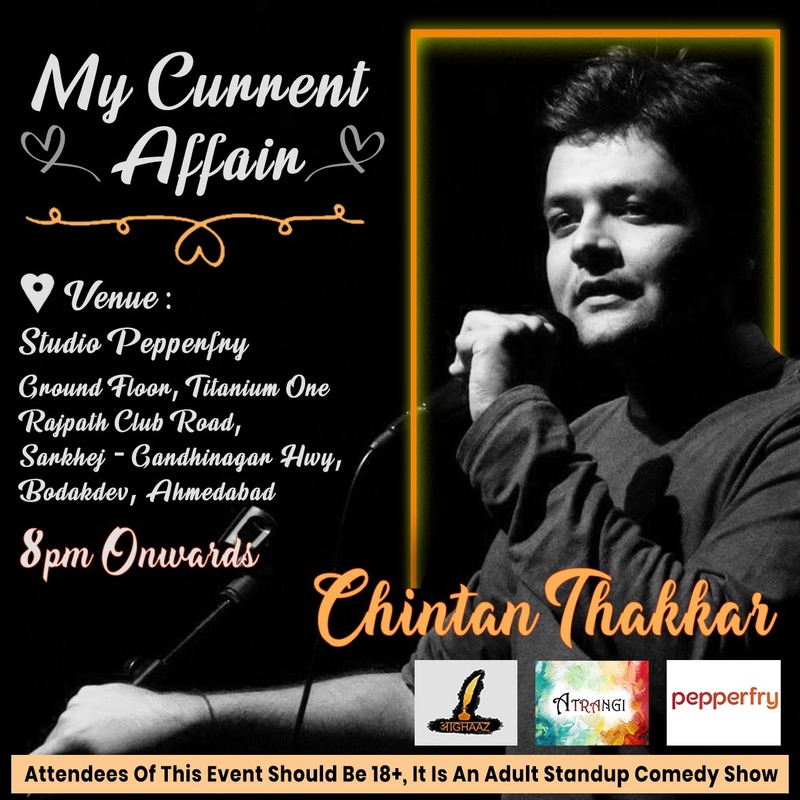 Wee call him up when we can’t decide which restaurtant to go or what to order, how to flirt and most importantly when he shares his wisdom on how Single hona paap hai..
On 17th April’19 He Will Be Sharing His Incidental Coincidences Which He Managed To Make In His Life, & Which We All Have Done Sometimes In Our Past That Are Now Buried In Hatches, Which Will Definitely Leave You ROFL!! Do Come With Your Kids If You Want Them To Know Your Deep Secrets Of Adolescence.